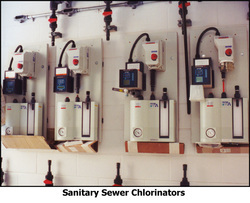 CGA Engineers provides services including force mains, gravity sewers, lagoons, and lift stations. Force Main: A pipe that uses pressure to transport wastewater from the pump station to a downstream collection system or a wastewater treatment facility. Gravity Sewer: A pipe that uses a declining grade to cause wastewater to flow downstream. It is the most common type of sewer line in existence. Lagoon: An artificial pool for the treatment of effluent or to accommodate surface water that overflows drains during heavy rain. Lift Station: Used for pumping wastewater or sewage from a lower to higher elevation, particularly where the elevation of the source is not sufficient for gravity flow and/or when the use of gravity conveyance will result in excessive excavation and higher construction costs.